Just down the road from Kendal there is another embroidery, the Sedbergh Embroidery. Whilst not Quaker related we’d like to think that it’s quite possibly inspired by Quaker Tapestry given its vicinity. 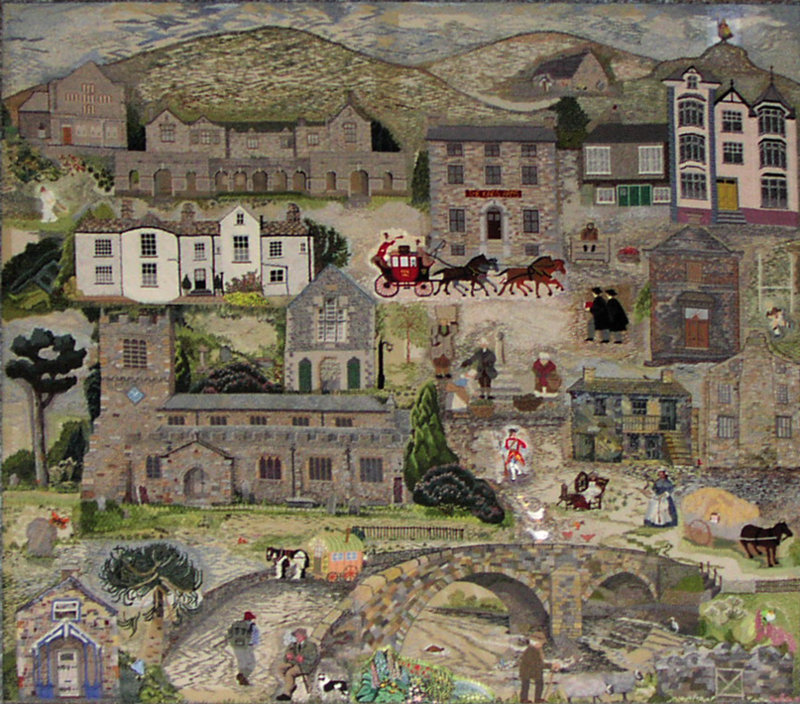 This fine embroidery was created by Sedbergh Stitchers with the objective of creating a canvas work panel depicting the landscape, historic buildings and social background of the area. The embroidery consists of two work panels, both of which are on permanent display in St Andrew’s Parish Church, Sedbergh. 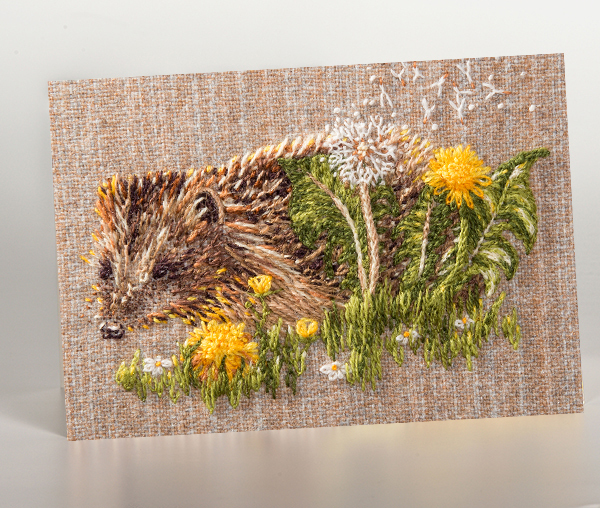 Sedbergh Stitchers formed a group in 1993 with the objective of creating a canvas work panel depicting the landscape, historic buildings and social background of the area. The embroidery consists of two work panels, both of which are on permanent display in St Andrew’s Parish Church, Sedbergh. The design was divided up into sections which were shared out between 15 stitchers to work on at home choosing their own colours and stitches with much of the piece using Appletons crewel wools (available in Quaker Tapestry shop). When the individual pieces were completed they were attached to the larger piece of canvas. The stichers met once a week in one of their homes and used a quilting frame for the work. Eight people could sit round the frame, stitching, helping each other and catching up with the news. In 2004 the Stitchers decided to create a second panel. Each member chose a piece they wished to be included and a digital camera was used to take A4 photographs. The outlines were traced, resized on a photocopier and finally transferred onto canvas. The photographs were used as a reference and worked in the same way as the first panel. A farmer riding a quad bike together with sheep being herded represents the farming community. A red squirrel is included to signify protection of the reds population in this area. A lady in a pony and trap records the fact that 100 years ago the usual way to get around was by using a horse and cart and not the motor car. 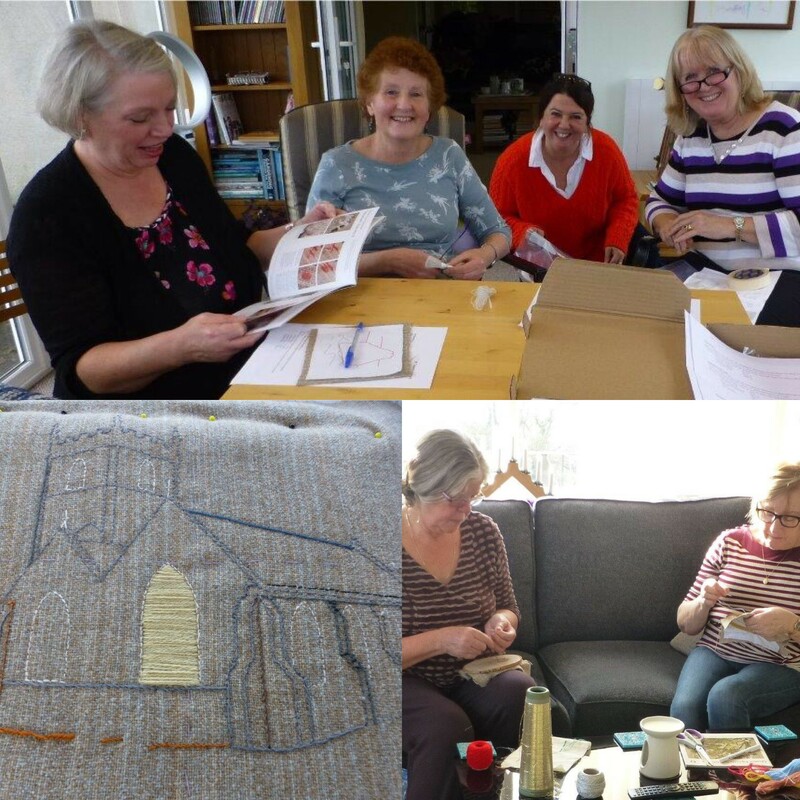 Read more about the details in the Sedbergh Embroidery or why not visit it whilst seeing Quaker Tapestry in Kendal, on a sort of Tapestry Trail.